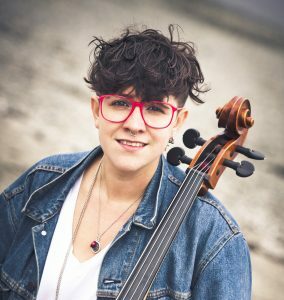 Cree cellist, Cris Derksen’s music braids the traditional and contemporary in multiple dimensions, weaving her traditional classical training and her Indigenous ancestry with new school electronics, creating genre defying music. On her third studio album, Orchestral Powwow, Cris has paired up with Tribal Spirit music to create a cinematic symphonic truly Indigenous album. She has performed with an array of musicians such as Buffy Sainte Marie, Tanya Tagaq, Jennifer Kreisberg and Kanye West. 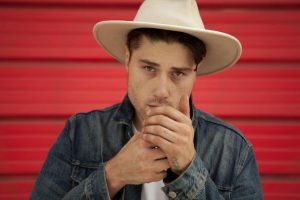 Mohawk musician and actor Brendt Thomas Diabo grew up listening to legends such as Steve Earle, Dwight Yoakam, Hank Williams and Johnny Cash, which he later drew from musically. Brendt has been touring continuously throughout Quebec, Ontario and New York. His hit single, “Dirty Old Town” is on SiriusXM rotation on the Multicultural station. His music is an infusion of old time country, rockabilly and blues. His latest EP, Take Me Back is set to be released in Summer 2016. Guitarist and singer/ songwriter Derek Miller is a journeyman musician with eclectic taste and a knack for roots inflected rock. Born on the Six Nations of the Grand River, Mohawk Territory, in Canada, Miller became interested in music in his early teens, and by the late ’90s had not only toured with iconic Canadian vocalist Buffy Sainte-Marie but was also earned a Juno for both his debut album, and sophomore album in 2008. 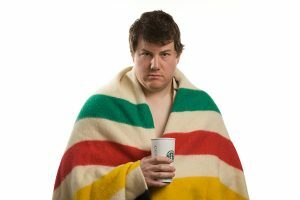 Derek is currently the host of the APTN late night variety show — Guilt Free Zone! Elizabeth celebrates empowerment through her work as a cornhusk artist and painter. Her work includes a set of 101 cornhusk dolls depicting the Confederacy and another set depicting the Journey of the Peacemaker. Using the term ‘reverse colonialism’ she tackles issues related to women as seen in ‘the Three Sisters of Leonardo’ where three of the worlds most famous paintings of women are transformed as faceless images. Erika A. Iserhoff (Omushkego/Eeyou Cree and French Canadian) is a multi-disciplinary artist who strives to revitalize traditional Indigenous cultural practices within her contemporary art and design work. She is a graduate from the Ontario College of Art & Design with a major in Fiber Arts. Erika is also the new Artistic Producer for Native Women in the Arts and Co-Founder/Co-Artistic Director of Setsuné – Indigenous Fashion Incubator, with collaborator Sage Paul. She is also a Dora Mavor Moore Award Winning Costume Designer (Agokwe by Waawaate Fobister.) 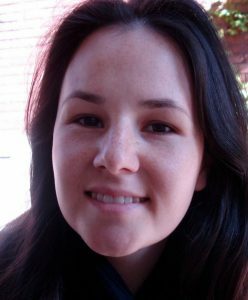 Erika has designed for countless theatre productions and most recently for the two new Heritage Minutes about Treaty and Chanie Wenjack. 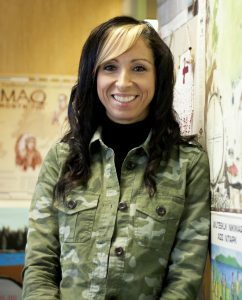 Pam Palmater is a Mi’kmaw citizen and member of the Eel River Bar First Nation in New Brunswick, she is a lawyer, professor, scholar, mother, activist, and dynamo. 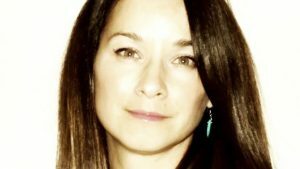 She has four degrees from St. Thomas University, the University of New Brunswick, and Dalhousie University including a Masters and Doctorate of Law and is now an Assistant Professor and Chair in Indigenous Governance at Ryerson University. She travels incessantly to Indigenous communities across the country and has been one of the spokespeople, organizers and educators of the Idle No More movement. 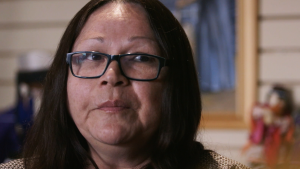 She is often called as an expert witness before Parliamentary and United Nations committees dealing with laws and policies that impact Indigenous people. 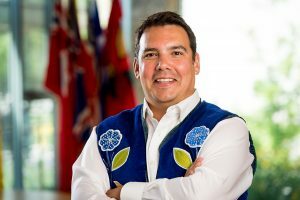 Dr. Evan Adams (Tla’Amin) serves as the Chief Medical Officer for the First Nations Health Authority in British Columbia overseeing the administration of health care to 203 First Nations and urban Indigenous peoples living throughout the province. Prior to joining FNHA, Dr. Adams served as Deputy Provincial Health Officer for British Columbia. 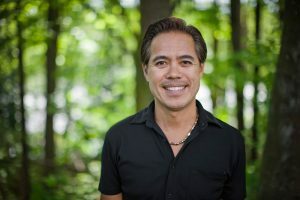 Dr. Adams completed his Doctor of Medicine (MD) at the University of Calgary, his Aboriginal Family Practice residency at St Paul’s Hospital/UBC (as Chief Resident), a Masters of Public Health from Johns Hopkins University, and served as the Director of UBC’s Division of Aboriginal Peoples Health. Dr. Adams likes to keep his family close, including his five sons and step-daughter, and honours his family. He is a marathon runner and distance cyclist. Dr. Adams is notable for his acting role in the movie “Smoke Signals”; he truly enjoys the arts. Nahanni is currently the MLA for the riding of St. Johns in Manitoba. 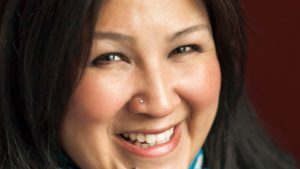 A longtime advocate for Missing and Murdered Indigenous Women and Girls (MMIWG), Nahanni served as the Special Advisor on Aboriginal Women’s Issues for the Indigenous Issues Committee of Cabinet of Manitoba. Nahanni has been recognized with several awards, scholarships and fellowships, including the Social Sciences and Humanities Research Council of Canada’s Doctoral Scholarship, YMCA Women of Distinction Award and the Governor General’s Award in Commemoration of the Person’s Case. Nahanni is from the Sagkeeng Anishinaabe First Nation in southern Manitoba. She is the proud, single mother of Jonah and Niniichaanis. With her searing 1973 novel Half-Breed, Maria Campbell exposed the brutal realities of life for Aboriginal women in Canada. It also revealed the angst, anguish, dislocation, and desperation of a nation impoverished economically and spiritually. The novel became a catalyst for change. The Métis Nation saw a resurgence of cultural pride and awareness, Aboriginal women organised and reclaimed themselves, governments affirmed Métis political rights, and Aboriginal literature in Canada was born. The Métis grandmother is now the author of seven books and is an award-winning playwright. 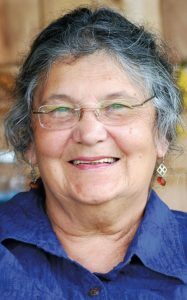 She has conducted writing workshops in community halls, friendship centres, libraries, tents, and cabins. Her writers’ camp at Gabriel’s Crossing – the old Gabriel Dumont homestead near Batoche, Saskatchewan – resulted in the 1991 anthology Achimoona, a collection of stories which showcased emerging Aboriginal authors. A noted lecturer and workshop facilitator, Ms. Campbell continues to work in the areas of community development, race relations, and creative writing. She was honoured with an Honorary Doctorate in Laws from the University of Regina and taught Native Studies at the University of Saskatchewan in Saskatoon. Called one of the ’10 Artists to Watch in 2016’ by CBC Music, Iskwé’s cross-cultural aesthetic is as striking as her tripped-out blend of soul. Iskwé’s debut album weaves together her Irish and Cree/Dene roots with hip hop breakbeats, left-field R&B, and traces of piano pop. 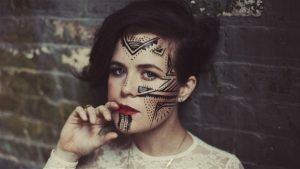 The Winnipeg-bred, Toronto-based singer-songwriter sings about her struggle to fit into/break away from Western archetypes, as Iskwé’s connection to her roots and traditions is an important part of her artistic vision. With her debut effort, Iskwé carves out her own musical identity, bridging modern and cultural influences while challenging the current mold. Canadian singer Jayli Wolf has captured all the right notes in her emotive music. Soul is abundant in her soft melodies, beautifully connecting elements of indie, folk, and singer/songwriter with a clever experimental eye. With an album on the way, she has already achieved recognition for her tracks and the stunning video for, “The Veil.” Her skill with words won her APTN’s First Tracks competition for songwriting and this is only the beginning of her potential. Jayli has also appeared in Adam Garnet Jones’ film Fire Song and APTN’s Mohawk Girls. Born and raised on the Six Nations Reserve, the young multi­-instrumentalist Logan Staats started writing and performing music in his early teens. Once in a blue moon an artist emerges on the scene as if fully formed. The voice is haunting and distinct, immediate in its character. The songs feel like they truly belong to the artist—a product of passion, compulsion, and musical commitment. Armed with his guitar and harmonica he has played frequent live shows in bars and venues across the world.“Good Bye Goldia,” Staats’ first full-length, solo studio album was released on Aboriginal Solidarity Day, June 21, 2015. 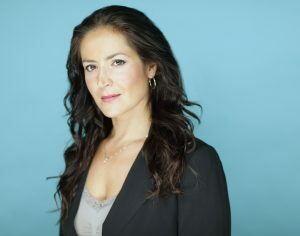 Cheri Maracle is a multi-award nominated actor/singer/songwriter of the Six Nations of the Grand River, Ontario. Cheri has a theatre-trained background and has performed professionally for the past 20 years across Canada, the United States, and Europe with countless theatre, television and film credits. Cheri is also a recording artist. Her first album of Indie/Roots original music Closer To Home garnered 7 nominations at the CAMA’s, APCMA’s, and the Indian Summer Music Awards. Cheri released a 5 song EP titled If I Am Water in March 2013, and recently released her third full length album, a jazz compilation Ache of Love. Keesic Douglas is an Ojibway artist from the Mnjikaning First Nation. As a photographer his work has been exhibited both across Canada and internationally. 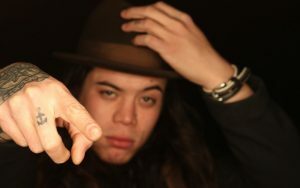 Keesic focuses on sharing his unique perspective based on his Aboriginal heritage in his photo and video work. 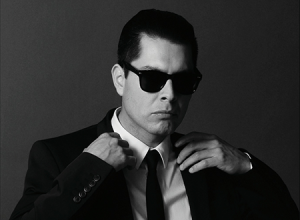 In 2009 his video War Pony screened at the Berlin International Film Festival in Germany. He recently exhibited a solo show at the Urban Shaman Gallery in Winnipeg Manitoba of recent new Landscape photographic works as well as photo and video installation exploring the history of the Hudson’s Bay Points blanket. In the spring of 2011, Keesic was in a two person show with a Mexican photographer that showed in Sudbury Ontario and San Cristobal in Chiapas Mexico. Keesic graduated with a BFA from OCAD in 2008 where he won the medal for photography and completed his MFA at UBC in Vancouver BC in 2010.